Combine everything in a rocks glass or julep cup, leaving a few mint leaves or a sprig to the side. Gently press the leaves to extract the aromatic oils but remove before they impart any bitterness and add 1 cup of crushed ice. 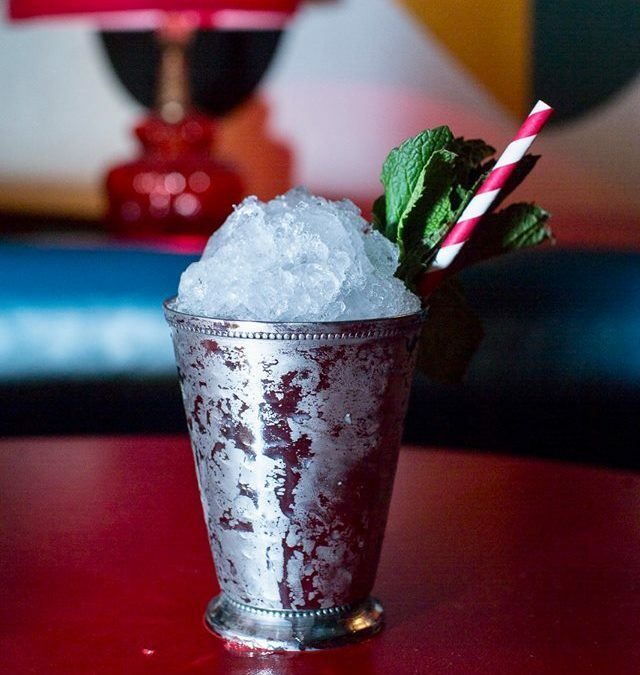 Swizzle gently for a few seconds and then top with crushed ice, paper straw and remaining mint leaves for aromatics. Cheers!